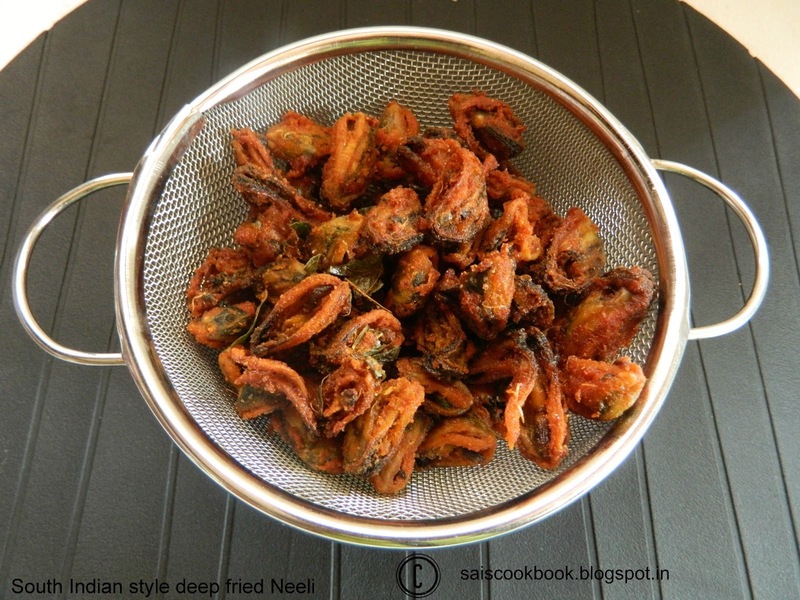 Few days back I had prepared Deep fried prawns in South Indian style,recipe adapted from my Bhabhi Santoshi.Same recipe I applied here,only difference is I added all the ingredients and coating directly to the Mussels.Yes,Neeli is nothing but Mussels.I have already posted How to clean mussels,please refer Here to know more.While frying mussels one has to be extra careful since the oil splutters when dropped in the oil,so be cautious and drop the marinated mussels from a distance carefully.I like to eat this when it is getting fried and no one can resist eating one,it is just like groundnut where you will eat on and on.This can be served as one of the best starter in the party. Marinate the mussels with salt and lime juice for 30 minutes or more. Add all the powders one by one,ginger garlic paste,curry leaves and the ingredients under To coat. Use the mussels stock or few tbsp of water while marinating the mussels. 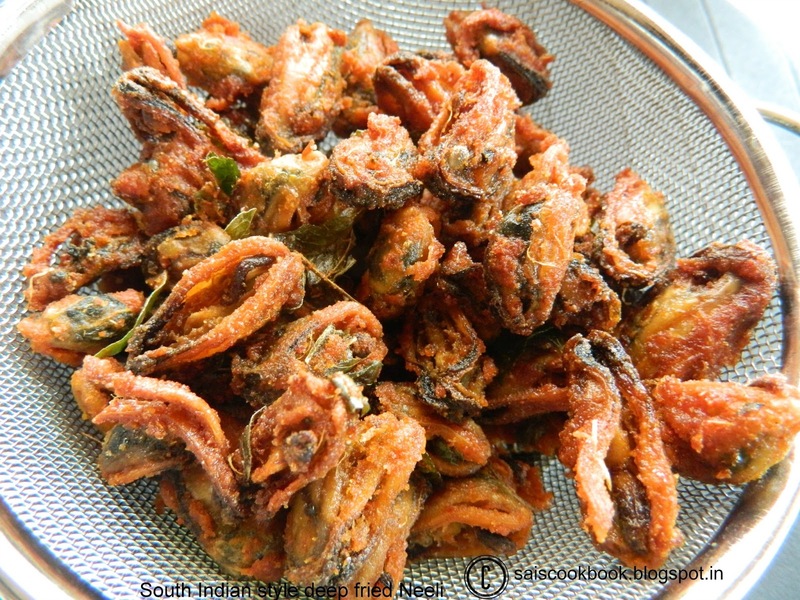 Heat coconut oil and deep fry the mussels until crisp.